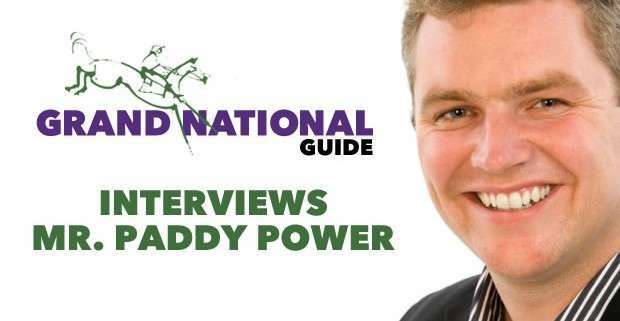 He's has one of the most familiar names in the UK and Ireland and yet many still seem to surprised to learn that Paddy Power, of the Bookmakers, is actually a real person! So what is it like to head up a company that is known for it's distinctly outlandish and often crazy promotional antics as well as well as it's top notch customer care? Fresh off the back of Cheltenham and with the 2014 Crabbies Grand National only around the corner, the man himself took some time out of his busy schedule to answer that very question (as well as a few others!) and with a refreshingly honest approach to the way to company operates as well as who he thinks will win the Grand National, it makes for very interesting reading! Question: Paddy Power bookmakers is known for its outrageous stunts and adverts – which has been your favourite so far? PP: I think the sky tweets over the Ryder Cup a couple of years ago. We flew stunt planes over the Ryder Cup and they spat out bits of cloud (kind of like an ink jet printer) to write messages in the sky. The best thing about it though was that it was linked to twitter so fans of Europe could send a tweet which would then appear seconds later in the sky over the course. Question: Although clever and witty, is the backlash you get for some of the adverts ultimately worth it? PP: The aim is to entertain, and it’s the nature of the beast that you won’t please everyone all of the time. We’re happy that we’re edgy and sometimes we need sail close to the wind. Ultimately I believe our punters like being entertained and enjoy the way we do it, you just need to look at our number of social media friends and followers to see that. It’s usually the knockers that raise awareness of our more edgy stuff. Question: Daft Punk at the Brits was inspired – do you ever have to okay some of the more risky PR stunts? PP: That was great fun – probably really immature but great fun! The best thing was that the security guards came up to us afterwards and said ‘right lads you’ve had your fun, can you please take your seats’….we assumed we’d be thrown out at that stage but instead got great seats at the Brits! We keep our in house legal team on their toes alright and do check out the legalities around some of our riskier ideas. Question: With the recent Barney Curley betting coup, how difficult is it to spot those anomalies at the time? PP: Obviously very! Hats off to Barney & crew for managing to pull off the coup in this day and age of technology. Question: What makes your company different than the other bookmakers on the high street? PP: We have personality & we’ve always been straight with our punters and told them that while we’ll probably take money off them, they’ll enjoy it while we do! We’re very customer focussed and not as greedy as many of our competitors. If you come to Paddy Power with £100 in your pocket, we want you to leave with £90…we’ll get our tenner and you’ll probably come back next week. If you walk away with nothing you might not. 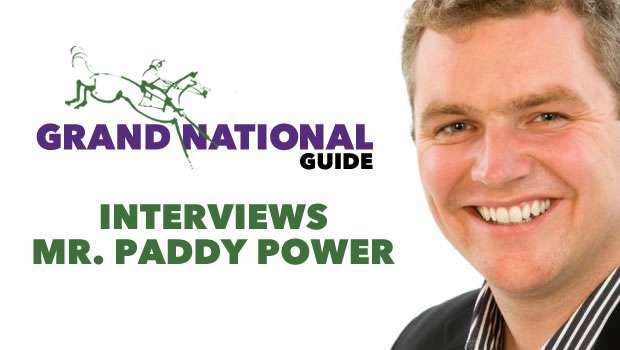 Question: What has been the biggest betting event for Paddy Power bookmakers? 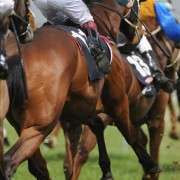 PP: The Cheltenham Festival and the Grand National are always massive, but of the unusual stuff betting on next Pope has been a very lively market the last couple of times. The World Cup will also be huge this year – especially in the unlikely event of England going on a decent run! Question: What’s the biggest growing sport to bet on? PP: Boring answer, but football is still growing fast. As technology improves and in-play betting becomes easier and quicker it will get even bigger. Question: Which will bigger on the betting markets this year – the Grand National or the World Cup and who do you think will win the World Cup? PP: It’s not a fair comparison as the Grand National is one race while the World Cup goes on for weeks – The World Cup will be bigger. I think home advantage will be huge for Brazil but they might just bottle it in the semis or final. 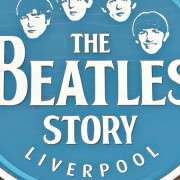 The Argys for me – but bear in mind I’m the worst judge since Pontius Pilate. Question: From a business perspective, do you look forward to the Grand National with excitement or trepidation? PP: 100% excitement…..and I hope AP McCoy wins it on the favourite. 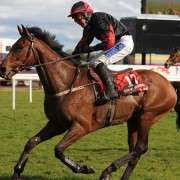 Us bookies make enough money during the year and deserve to have our pants taken down every now and again and what better place for it to happen than on the Grand National when everyone will get a piece of the pie! 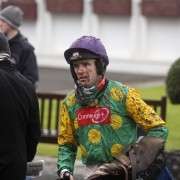 Question: Did you ever consider throwing Paddy Power’s hat in the ring for the Grand National sponsorship? PP: We look at every opportunity but it’s probably not for us just now. Question: You’ve already gone to 5 places, much earlier than last year – any particular reason why? PP: It’s practically a term of trade, as it should be. I strongly believe that bookies who don’t go first 5 on the National are ripping off unsuspecting punters. Question: Have you gone through the entries and if so, who do u think will win it this year? Question: What’s your sure each way for the National? Question: Are you secretly hoping for another 66/1 winner? We would like to thank Paddy Power for taking the time to answer our questions as well as those posted on our Facebook page.